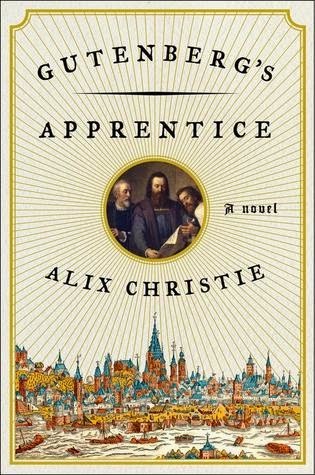 I’ve just finished reading a spellbinding historical novel: Gutenberg’s Apprentice by Alix Christie. Rather than another story of a literary genius (or writer’s significant other) as I usually like to read, this book pays homage to a great man to whom all lovers of the written word owe an unimaginable debt. Of course, we all "know"Johann Gutenberg, the inventor of mechanical movable type, or the printing press. He’s responsible for the Gutenberg Bible, which I guess I always learned was the first book to ever be printed using a printing press. It seems that historical factoid is an oversimplification, naturally. I never actually gave much thought to what an innovation "movable type" was, or how extraordinary an undertaking printing a book, any book, must have been. But this isn’t his story. Not entirely. Whenever we think of lone geniuses succeeding at overcoming insurmountable obstacles to achieve things that no mere mortals have ever done before, chances are they didn’t do it alone after all. Gutenberg’s printing press was a team effort. One of the major players was a man named Peter Schoeffer. He had two recommendations for the job of apprentice. First, he was an accomplished scribe. Second, his adoptive father, Johann Fust, was very rich and very ambitious. Gutenberg needed financial backing. Peter is a remarkable hero. Strong, thoughtful, loyal, devoted, religious, and extraordinarily intelligent, he is appalled, at first, by the very idea of a printing press. He loves his chosen career, being a scribe, and had high hopes for advancement. He can see how such an invention would destroy the very world he knows. It would take the beauty of the written word, the art of it, and make it hollow and empty. And yet. . .he owes Fust too much to disappoint him. And as he works with Gutenberg, he comes to respect him as well and to appreciate what Gutenberg is trying to accomplish. As he invests his own talents into the process, improving it, making it into an art form of its own, Peter begins to feel that this is something God has put him on earth to do. I wouldn’t necessarily have thought that descriptions of the grind of making a printing press from scratch, when none of the parts had ever even been put to such a particular use before, would have been not just interesting, but compelling. They needed to get the ink right, the letters cast from the right metals, the right project, enough letters, the right letter shapes, enough people to work the presses–there was a constant need for more money. There were political and religious forces arrayed against them. The whole thing had to be done with utmost secrecy. The Infidels took Constantinople, necessitating another Crusade! And all the while, they had to race to get the Bible printed before the tenuous partnership tore itself apart. Christie gets at the heart of the personalities of these driven men, managing to humanize them despite the remarkable level of historical detail. Peter is the one who holds everything together, driving the work to continue, but he’s the one who suffers the most from emotional strain because he continues to care about the people involved, right until the end. The making of ‘The Book’ is fascinating, the making of the man, Peter Schoeffer, is even more so. Today, when we can do so much with a computer and printer, it’s hard to imagine what it must have been like for every page, every image, to have to have been created by hand. What a monumental leap of imagination and faith it was to go from that to mechanical printing. I suppose I knew that, but without actually giving it the thought it deserves until reading Gutenberg’s Apprentice. As I go along, I'll list the books I've read at the end of this post and link to my reviews. The challenge runs from Jan. 1 through Dec. 31st 2015. You can sign up with the linky here. I'm going for the Ancient History level again this year. Last year I did go above 25, but 50 would be too optimistic. If you enjoy historical fiction of any stripe, come join in the fun! With the popularity of Downton Abbey, novels set in the time just before, during, and after WWI have seen an explosion in popularity. Or, at least, I’ve noticed a whole lot more of these novels on display and I’ve found myself picking up more and more of them. WWI novels can deal with a variety of topics, not least of which is the war itself, but the most popular seem to be Downton Abbey-esque, using an Upstairs/Downstairs theme. 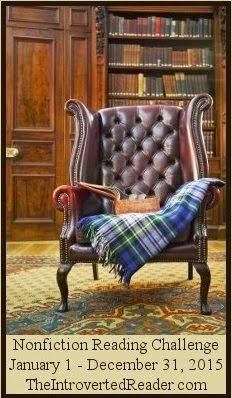 They are inter-generational sagas set in grand English manors. The aristocracy have to deal not only with the war, but with the changes to their way of life. The lower classes have to deal with the war and with being poor and servile, but postwar changes bring them the possibility of upward mobility. This all makes for interesting T.V. watching and for some fun novels. 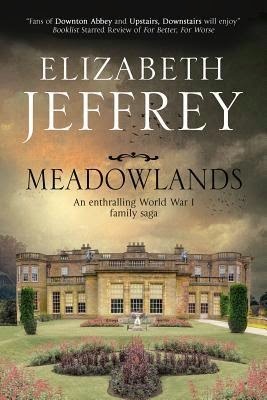 The latest one of these in my collection is Meadowlands by Elizabeth Jeffrey, to be released on April 1. Meadowlands follows the fortunes of the Barsham family and their servant, Polly. The novel has all the elements of these types of novels, both the typical characters and the usual plot points. Sir George Barsham (father) is mostly absent, but he is a correct enough English gentleman. He spends his days in Parliament talking about the war with his cronies or with his mistress. (His marriage is not a happy one.) He treats his children with benign neglect. Lady Adelaide (mother) is a selfish, snobbish, demanding, and stupid woman with no understanding of politics who seems to not quite realize there is a war going on at all. Her children barely manage to put up with her, but she is mother, after all, so they laugh at her instead of arguing. There are four children: two boys (twins) and two girls. Of the sons, one is bookish and a conscientious objector, who becomes a stretcher-bearer. The other is dashing and brave, who believes the Germans will be defeated easily. He joins the military and marches off to war. The eldest daughter, Gina, is beautiful and dutiful. She stays home and becomes involved with homefront causes. The younger is plump and frizzy-haired, but energetic. She zips off to become a nurse. Polly is lady’s maid to Lady Adelaide and to the daughters. She also helps out around the house. And she helps Gina with her social work. (Gina’s main project is a soup kitchen for the local women who are (even more) impoverished because their husbands have gone off to war.) Polly is in love with the younger son, but knows she can do nothing but worship him from afar since his status puts him out of reach. If you’ve read books in this genre before (or watched Downton Abbey), you can pretty much anticipate what will happen in this book. It’s short (224 pages) so it packs all its obligatory WWI drama into a rather compact structure, making each event seem a bit emotionally superficial. Each of the characters has a story, but only Polly and Gina are developed with any depth, so much of it has a rushed, glossed-over feel to it. Even Polly and Gina, although more fleshed out and very sympathetic, are somewhat one-dimensional. This is a quick and easy book to read that does give the flavor of a Downton Abbey-like drama. However, I’ve found other books in this genre to be more engaging and more emotionally satisfying. 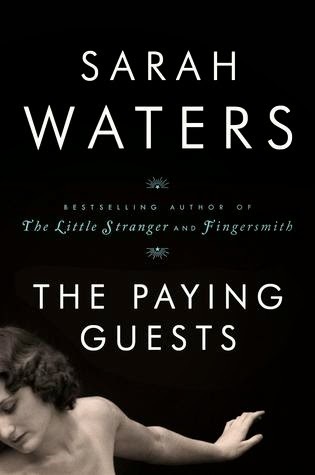 The Paying Guests by Sarah Waters has been getting a lot of attention in the literary world. Apparently Sarah Waters has been short-listed for the Man Booker Prize three times, but I have yet to read any of her historical fiction. This one, set in post-war (1922) London, sounded too intriguing to pass up, so I’m starting with it. Frances Wray is genteelly poor, living with her widowed mother in a fashionable part of London in a home too large for them. Her brothers both died in the war; her father followed them. Frances then discovered the appalling state of the family finances. Servants were let go. Frances took on all the burdens of maintaining the home, economized, stopped buying clothes for herself, gave up everything, but it wasn’t enough. It became necessary to take in boarders. Enter Lillian and Leonard Barber. Although of a decidedly lower class, they are trying to make something of themselves. Leonard is a hardworking and successful clerk in "assurances." Lillian has managed to shake off the accent and manners of her shopkeeper family, though Frances still finds her tastes (in furnishing and clothes) somewhat garish. But Lillian is sweet and earnest. Leonard is something of a boor. But the money. . .Frances tries to focus on the money. Waters draws the reader in with an exquisitely detailed if somewhat claustrophobic picture of a lonely woman with a tragic past who now has the tiny bubble of her life invaded by absolute strangers. She would like to pretend these people are not in her house, but there is an inevitable intimacy to the overheard conversations and the passings on the stairs. While Frances’s mother (a frail-ish woman who, quite naturally, is still grieving her sons and husband) seems pleased to have a man about the house again, Frances is irked by Leonard and is drawn to Lillian. A friendship blossoms between them. And then, a love affair. Sarah Waters is an extraordinary writer who is able to place a reader fully in a scene even when most of the action is taking place inside a character’s head. Frances may be doing nothing more than housecleaning, but the descriptions are so fully wrought, and we are so completely aware of Frances’s mood and train of thought, that we could be there with her. It is not a fast-paced read, but it is steady, and it builds as the consequences of the women’s love affair fly out of control and they begin to question themselves and their commitment to one another. These characters are put through the wringer. They are not particularly admirable but they are entirely realistic, flawed, and sympathetic. The Paying Guests is well deserving of the accolades it is receiving. I've decided on a different challenge for myself this year, one that will really be a challenge-- the Nonfiction Reading Challenge, hosted by The Introverted Reader. This challenge will last from January 1 to December 31, 2015. You can sign up anytime throughout the year at the link above. The challenge is not limited to bloggers. You can also link to a review you wrote on another site, such as GoodReads or LibraryThing. I'm going to go with the Explorer level. I'll shoot for 10 books, though in truth I'll be pretty pleased with myself if I get through 6. I'll list the books I've read below and link to reviews here and back at The Introverted Reader when completed. 5. A Very Long Classic Novel -- a single work of 500 pages or longer. This does not include omnibus editions combined into one book, or short story collections. 6. A Classic Novella -- any work shorter than 250 pages. 7. A Classic with a Person's Name in the Title. First name, last name, or both, it doesn't matter, but it must have the name of a character. 9. A Forgotten Classic. This could be a lesser-known work by a famous author, or a classic that nobody reads any more. 10. A Nonfiction Classic. A memoir, biography, essays, travel, this can be any nonfiction work that's considered a classic, or a nonfiction work by a classic author. If you do not have a blog, you may link your review from Goodreads or other publicy accessible online format. Here are my choices. Reviews will be linked up here and back at Books and Chocolate when available.